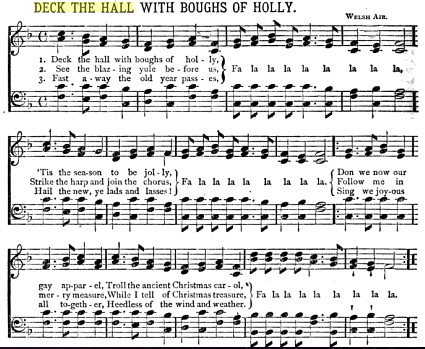 Deck The Halls is a traditional Christmas, yuletide, and New Years' carol (1862). The melody's origins were Welsh from the 16th century. We have chosen the American lyrics from 1877. Add Deck The Halls to your own personal library.